On “World report on disability” of WHO (World Health Organization) about 15% of the world's population lives with some form of disability, of whom 2-4% experience significant difficulties in functioning. The global disability prevalence is higher than the previous WHO estimates, which date from the 1970s, and it suggested a figure of around 10% (https://www.who.int/disabilities/world_report/2011/report/en/ ). Considering the world population was 7 billion people in 2011, it turns out 140-280 million people in the world have a serious disability. “Assistive devices and technologies are those whose primary purpose is to maintain or improve an individual’s functioning and independence to facilitate participation and to enhance overall well-being. They can also help prevent impairments and secondary health conditions. 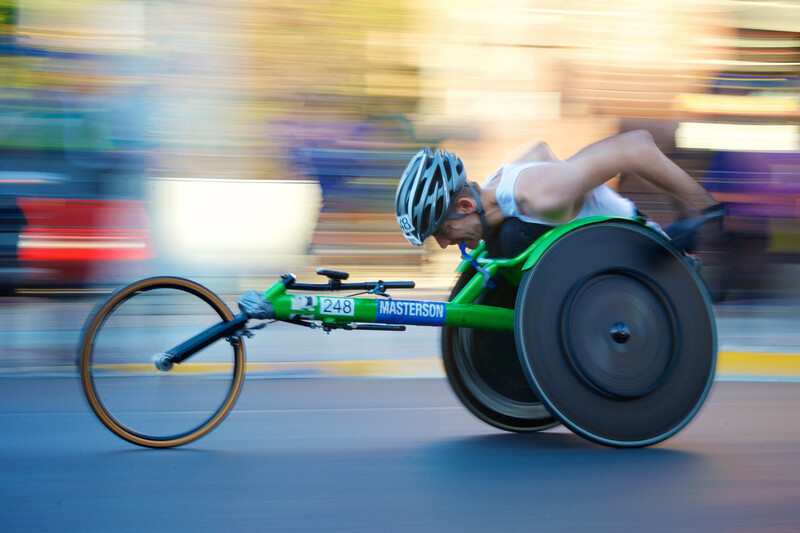 Examples of assistive devices and technologies include wheelchairs, prostheses, hearings aids, visual aids, and specialized computer software and hardware that increase mobility, hearing, vision, or communication capacities” (https://www.who.int/disabilities/technology/en/). 7.8 million severely disabled people living in Germany: At the end of 2017, roughly 7.8 million severely disabled people were living in Germany. The Federal Statistical Office (Destatis) also reports that this was an increase of approximately 151,000 or 2.0% compared to the end of 2015 (https://www.destatis.de/EN/FactsFigures/SocietyState/Health/DisabledPers... ). These numbers once again prove that there are many people in the world (in particular, in Germany) who need new software and hardware for people with disabilities. In Germany, according to the Constitution, no one can be deprived of his rights because of his disability. All citizens have the "right to rehabilitation and integration into a normal life." In 2015, Germany pledged to significantly expand the rights of people with disabilities after the UN criticized the restriction of access for citizens with disabilities to the education system and to the labor market. According to the Federal Employment Agency, only about 16% of people with severe disabilities have a permanent job. Another 4% are private entrepreneurs or work under job creation programs. Thus, only 20% of the total number of disabled people of working age is provided with work (about 700 thousand people). The remaining about 3 million disabled people of working age are unemployed. (From I.Krylov's fable "Swan, Pike and Crab", 1816). Of course, the rehabilitation and subsequent employment of persons with disabilities is economically more advantageous than the constant provision (pensions and benefits). However, despite all the efforts of the governments, the problem of integrating people with disabilities into normal life still remains unsolved and “the cart is still upon the selfsame spot”. What problems of people with disabilities can be solved using speech recognition? 1. Communication with the outside world. The opportunity to communicate with friends, peers, acquaintances or strangers, and the outside world plays a very important role in the rehabilitation of disabled people. But, unfortunately, people with disabilities with serious limitations are deprived of this opportunity. Using the automatic speech recognition system one can almost fully automate the process of managing computers and portable devices in different languages. This will give people with disabilities the opportunity to use a mobile phone, work on the Internet, keep in touch with the outside world, use messengers (WhatsApp, Viber, etc. ), find and voice the necessary information, download and voice audio / video files, use social networks ( Facebook, Twitter, etc. ), e-libraries, send and receive e-mails and more. 2. Control of household appliances. Another speech recognition application is in creating smart homes. Creating smart homes, where almost all actions are performed with voice commands, will solve most of the problems of people with disabilities with the management of household appliances. But this problem is already solved even without the construction of smart homes. You can already buy home appliances (TVs, refrigerators, dishwashers, washing, etc.) with voice control. Voicedocs is also working on the development of embedded voice control unit for home appliances to replace buttons with voice commands. Speech recognition can help people with disabilities to find work or organize their own business. For example, Voicedocs Dictate app simplifies text entry process replacing typing with speaking. Thus disabled people can do jobs related with much text entry like journalism, copywriting, translation and etc. Voicedocs Transcriber which automatically converts pre-recorded audio or video file to text, can help people with hairing impairments. We deeply believe that even if it is impossible to completely solve the problems associated with the use of mobile or other computer equipment, with the use of our speech technology, it is possible to significantly facilitate the daily life of every disabled person.